Glasgow, prepare to embrace your inner scientist this October at the Auchentoshan Taste Experiments! The Taste Experiments will be an evening of taste investigation which will help you to understand and analyse your preferences to certain flavours. The events, which aim to add something unique and unusual to a traditional whisky tasting, have been created by cocktail genius Ryan Chetiyawardana (AKA Mr Lyan) and coffee & taste experts DunneFrankowski with advice from Auchentoshan Master Blender and chemist Rachel Barrie. Auchentoshan pronounced ock-un-tosh-an is an authentic Single Malt with a modern contemporary feel targeted at an emerging, whisky drinking generation. Auchentoshan is the only single malt scotch which distils every single drop three times (rather than once or twice to remove impurities) allowing the liquid to absorb every possible characteristic from the wood as it matures in the finest oak barrels. It’s this unique process that gives Auchentoshan unrivalled smoothness and versatility, making it the perfect mixing whisky. The Auchentoshan Taste Experiments will transport tests usually only explored in the confines of the Master Blender’s laboratory into a fun and interactive environment. The masterclass will take you on a journey from an education into taste and flavour; to how to taste whisky and customise cocktails. The events tap into a growing thirst for experiences that combine the powers of science and imagination. Through this balance of science, craft, fun and flavours the Auchentoshan Taste Experiments will provide a greater understanding of how to appreciate and enjoy Auchentoshan Single Malt Whisky. The event will take place at the Corinthian Club in Glasgow. To get involved: Tickets will be available for £10 from www.eventbrite.com. DunneFrankowski - DunneFrankowski, are known as purveyors of fine coffee. They run lively and exciting training and talks and will be hosting the Introduction to Taste element of the event. Street Whistling Shop bar in East London, where he created arguably one of the most inventive cocktail menus in the world. He is now developing Mr Lyan- a new drinking experience coming very soon. 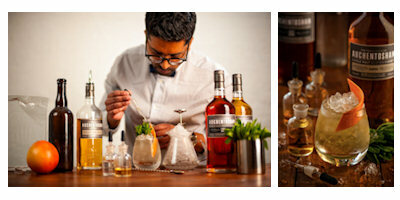 Ryan Chetiyawardana has created a number of Auchentoshan cocktails for the Taste Experiments. 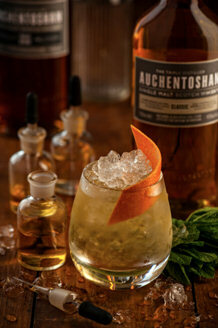 The Auchentoshan Classic Julep stands alone as a punch cocktail that can be made at home. This short, fresh serve complements the bright zesty notes of Auchentoshan Classic with fresh mint and floral elderflower liqueur. As the drink dilutes, the vanilla notes of the whisky will begin to unfold. An ideal cocktail for parties the Julep can be served in glass pitchers or from behind the bar in ornate punch bowls. Take 1 bottle of Auchentoshan Classic, 2 bunches of mint (stems up), demerara sugar and St Germain Elderflower liqueur and mix together in a tall jug. Stir to dissolve the sugar, being careful not to tear the mint. Place in the fridge for 2 hours, along with some small cups (ideally pewter or metal). After two hours, strain off the mint. Fill each cup with cracked ice, add 50ml of the mix. Churn, then fill with more ice. Garnish with a zest of grapefruit and a large sprig of mint.